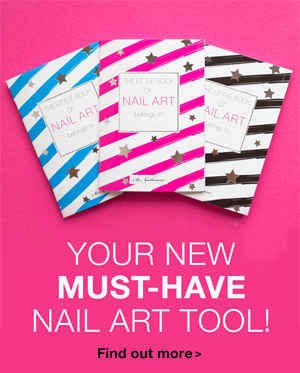 What if you’re not feeling like pink nails, lovehearts and cupids on Valentine’s Day? Fear not, you still can pay homage in your own way and in your own colours! I’m a huge fan of anything monochrome, so this year my Valentine’s Day nails are black and white. The design is inspired by the two Valentine’s Day manicures I did at the very beginning of my SoNailicious career – these Neon Love Valentine’s day nails and these 3D Love Heart nails. This time however, this nail design has a meaning. 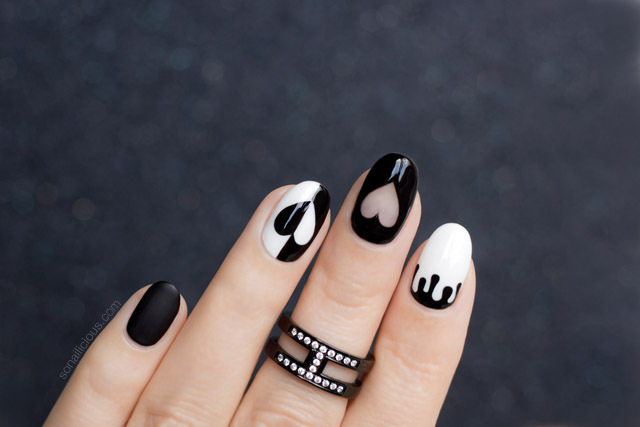 The negative space heart on the middle finger represents void, the dripping pointer finger represents tears (love does not always have a happy ending) and the black and white split hearts represent the bright and dark side of love. Naturally, this manicure is entirely hand painted. 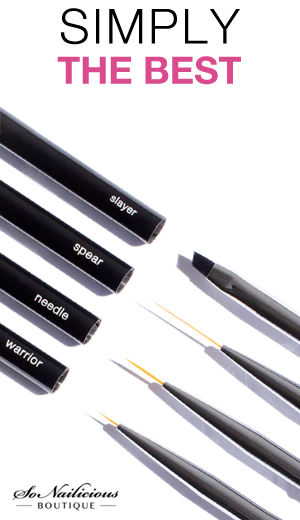 I used 01 Warrior brush to paint the drips on pointer nails, and 02 Needle and 03 Spear striping nail art brush to paint the hearts, including the negative space heart on the middle finger. By the way, if you do feel like pink this Valentine’s Day, the nail design will look equally stunning in more traditionally romantic colours. 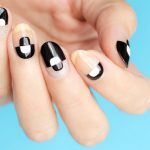 What do you think about these white and black Valentine’s Day nails – yes, no, maybe? Have you ever created an unusual romantic manicure or do you prefer the traditional pink and red Valentine’s Day nails? P.S. 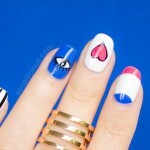 If you try this unusual Valentine’s nail art, I would love to see it! Tweet or Instagram me @So_Nailicious your nail art designs with a tag #sonailicious.